The Playce is a 5,500 sq. ft. campus for startups, entrepreneurs, coders, designers, freelancers to work out of, study, learn, teach & meet interesting junta! 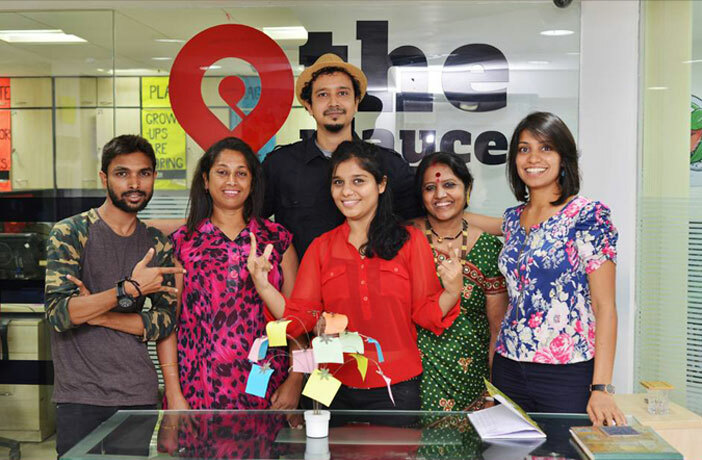 The Playce is also a venue for awesome events, training, workshops & fun meetups. The Playce was launched in November 2012 by Gargi Shah. Now we becomes one of the most popular co-working spaces in Mumbai. We have affordable work & study-desks for rent by the day, week or month. + office space, conference rooms, seminar hall, events area. We also provide lockers, unlimited coffee, wi-fi & much more. 1. Co:work — Our coworkers are a unique potpourri of freelancers, designers, students, techies & start-ups. You can tap into this community to find help, guidance or even your startup cofounder. 2. Co:study — Why make studying even more boring by studying alone in a cramped room? Study at your own spacious desk or group study in a Study Room at the:playce. Chillout & play w/ them in our lounge. Attend a slew of workshops/seminars to learn interesting stuff. 3. Events — We host an array of events, seminars, hackthons, meetups and film screenings at the:playce. They’re fun, affordable and you can learn a lot from them. 4. Office space — You can also get your own private office space for your company. 5. Hangout — We have a fun-filled hangout area with boardgames, projector (for movies of course) and music system.